If you thought a future where you'd have to share the road with autonomous vehicles was far off in the distance, it might be time to adjust your timeline. Ford recently announced that it would begin producing its first autonomous cars in 2021 to be deployed for commercial uses. Ford's first set of self-driving cars won't be sold to the public, though. Sorry if you were hoping to be able to sleep on your commute to work. Instead, Ford claims that its new autonomous vehicle manufacturing center in southeast Michigan is busy upfitting commercial-grade hybrids with the necessary technology to operate without any humans. But the autonomous cars, at least the crop that are going into production in two years, will focus on transporting goods and people. Before brushing off Ford's latest claim as being absurd, a report from Navigant Research claims that Ford is a major player in the autonomous scene. According to Wards Auto, Navigant Research's third annual Automated Driving Vehicles leaderboards claims Ford is right up there with the best, which include General Motors and Waymo. Last July, Ford came out with a spinoff for its driverless technology called Ford Autonomous Vehicles LLC. 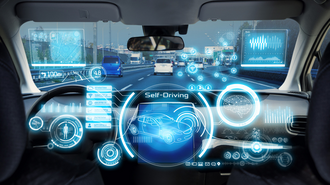 The separate arm was reportedly getting a large amount of money – $4 billion through 2023 – to focus on bringing autonomous vehicles to the road and it sure sounds like it's been busy. You might not be able to purchase an autonomous Ford in the near future, but if the automaker has its way, you might be able to get a ride in one.